Introducing the new 2018 Ford F-150! The capable pickup truck receives a variety of updates for 2018, including a new standard 3.3-liter V6 with more power and fuel efficiency. The F-150's other engine options also receive revisions and there's a new turbocharged diesel-powered V6. In addition to the updates under the hood, the 2018 Ford F-150 also receives fresh new front and rear styling. Like the Ford F-150, the RAM 1500 also gets several updates for the 2018 model year. The RAM 1500 is another pickup truck option on the market and adds a top-level Limited Tungsten edition, a new Harvest edition, a 3.0-liter diesel engine option and an updated 8.4-inch infotainment system. New features aside, which pickup truck is a better overall value? Here's a closer look at the 2018 Ford F-150 vs. 2018 RAM 1500. 13,500 lbs Max. Towing 10,640 lbs. 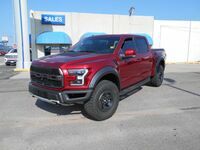 Test drive the new 2018 Ford F-150 at Wolf Auto Center today! Choosing the perfect pickup truck comes down to deciding what features and capabilities are most important to you. Are you looking for a wide variety of options when it comes to building your truck? The 2018 Ford F-150 comes in many different configurations, including multiple engine options, trims and colors. RAM's 1500 truck, on the other hand, doesn't have as many options. 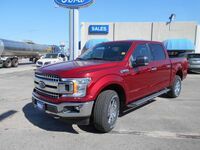 Ford's sleek F-150's standard 2.7-liter V6 engine also boasts best-in-class fuel economy figures with an estimated 20 city and 26 highway mpg. The 2018 RAM 1500's strengths are in its luxurious cabin, strong towing capability and comfortable seats. No matter what adventure a new day brings, the 2018 RAM 1500's high-end cabin will keep passengers content. Even with its accolades, the RAM 1500 pales in comparison to the Ford F-150's impressive towing and hauling capacity, spacious cabin and generous array of high-tech features. We invite you see the 2018 Ford F-150 for yourself with a test drive. 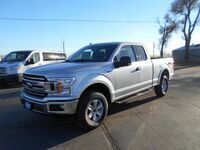 At Wolf Auto Center you will find a pristine selection of new and pre-owned F-150 models to choose from. Stop by and see us today!